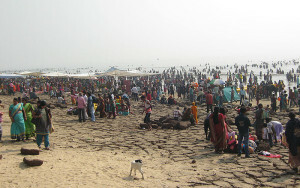 Bus– There are numerous buses plying to Digha from Kolkata. Air-conditioned, luxury coaches are also available for the high market crowd, while other private buses along with the West Bengal State Transportation services leave Kolkata for Digha frequently. Buses are also available from a few other towns of West Bengal, namely, Bankura, Asansol, Howrah, and Bardhaman. Balasore (Orissa) is also linked with Digha via bus services. The fare depends on the distance and the luxury provided to the passengers and may be anything between Rs100-Rs300 per person. Train– Three dedicated trains travel from Kolkata to Digha every day. The train service had been started in 2004 and was vastly improved post 2011. The Tamralipta Express, Duranto Express and Kandari Express are available from Howrah Station on a daily basis. The Paharia Express from Jalpaiguri to Digha has a halt at Howrah. The average second class fare is about Rs 75 which goes up to Rs 276 for an air-conditioned coach. The Duronto express is slightly expensive with the fares ranging from Rs 240 for an AC coach and Rs 1083 for a seat in the First AC. Car- It is possible to hire luxury taxis and travel in self owned vehicles from Kolkata to Digha too. The Marine Aquarium& Research Center-It has an excellent collection of marine animals and educates the people about the rich biodiversity of the area. It is India’s largest inbuilt marine aquarium. It is open on weekdays from 9:30 A.M. to 6 P.M.
Chandaneswar Shiva Temple– It is situated 8 kms away from Digha on the West Bengal-Orissa border. Amravati Park– This is an excellent park with boat riding facilities. The Snake Farm, located nearby is an added attraction. There are numerous hotels and guesthouses in Digha from luxurious 5-star resorts to a ordinary, ones. 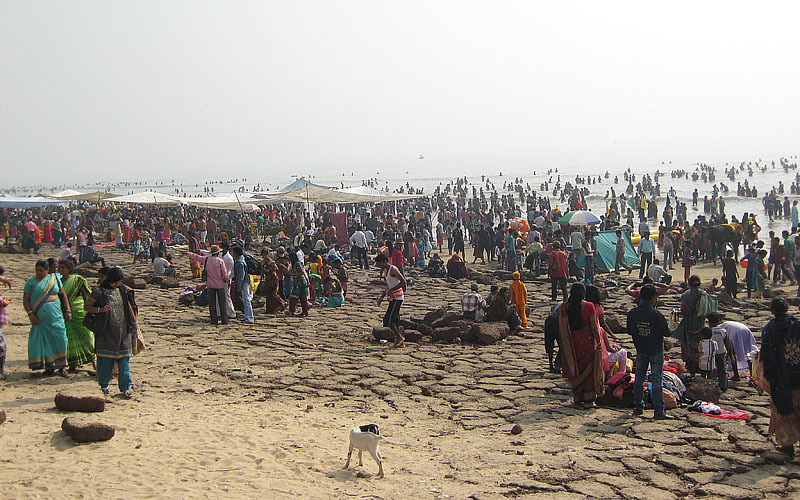 July to March is the peak season, when the weather is pleasant at Digha. This entry was posted by indispottravel in Beaches in west bengal, Medinipur, Picnic Spots in West Bengal, Weekend Destination around Kolkata, West Bengal and tagged Beach, Beaches of Bengal, Cost line of West Bengal, Digha, Kaju, Sea, West Bengal.